I am not going to lie — brushing your dogs teeth isn’t the most pleasant of experiences, especially if your dog isn’t used to having things shoved into his mouth. But it is easier than clipping your dogs nails, at least around my home. So it’s not going to be the highlight of your day, but brushing your dogs teeth should be done daily. It’s a part of grooming that’s often overlooked, and it’s why so many dogs end up having expensive dental bills later on. While daily brushing doesn’t guarantee that your dog will never have dental problems, it can prevent the majority of them. And when it comes to oral care a little prevention goes a long way. If you want to help your dog keep his nice pearly whites you should make teeth cleaning part of their grooming routine. Brushing your dogs teeth helps prevent tartar, gingivitis, and plaque from building up. The average cost in the U.S. for a dog’s dental cleaning is about $400-700 with anesthesia. Some professionals offer anesthesia free dental cleaning which tends to be less expensive. 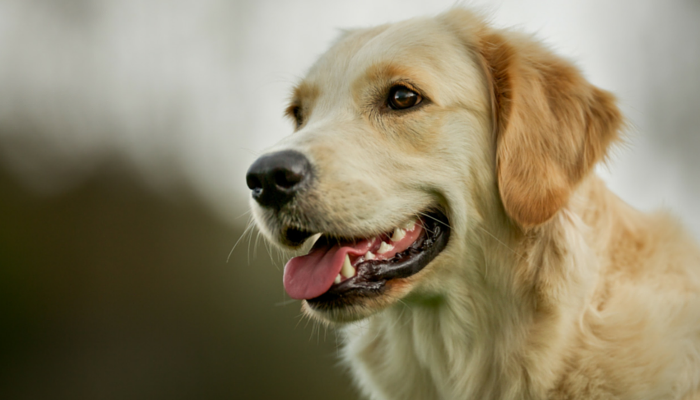 It’s estimated that 85% of dogs over the age of 5 are suffering from periodontal disease. It develops when food particles and bacteria collect along the gum line and form soft deposits called plaque. The plaque can turn into tartar if it’s not removed, leaving the gums inflamed. Don’t rely on your kibble to do the job for you either. Although it’s widely assumed that kibble help keeps your dogs teeth clean it’s never been proven. It may help to remove some of the plaque by the gum line, but it’s not going to do anything once there’s a buildup of tartar. The only scientifically proven way to remove plaque and tartar from your dogs teeth is good old fashioned daily brushing combined with routine tartar removal from a professional. Toothbrush – They make tooth brushes just for dogs, and you can get them in various sizes and colors just like human ones. They also make finger brushes that fit over your finger that have little dental sponges. Tip: I haven’t found a doggie toothbrush I love, I actually prefer using human ones (new ones, not used). Dog Toothpaste – Don’t use human toothpaste for your dog; they can make your dog extremely sick and if ingested can lead to liver damage. 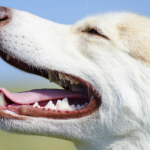 Dog toothpaste comes in appealing flavors such as chicken, liver, and peanut butter. We use Petrodex beef flavor and Laika loves it. You can also make your own doggie toothpaste at home using baking soda. Just make sure your dog doesn’t swallow a lot of it, since baking soda can cause electrolyte imbalances. If you have a puppy that’s excellent news. They may be a bit uncomfortable at first, but working with puppies means you’re working with more of a ‘blank slate’ so to speak. So you have the opportunity to gradually ease your new puppy into getting used to having his teeth cleaned. If you have an older dog I wish you well. It’s not impossible to get an older dog used to daily teeth brushing, but it can be quite a challenge. There are a few dogs that won’t have anything to do with it, so if you try and don’t succeed don’t blame yourself. Some people end up having to have their dog’s teeth cleaned at the vet’s office. Get your dog used to having their mouth and snout handled, and don’t get out the toothbrush just yet. Make sure your dog is comfortable with you handling their mouth before moving onto the brushing part. Use some circular motions around your dogs mouth to get him used to all handling. Some people practice this once or twice a day in order to ensure the dog has complete trust in the exercise. The next step is getting your dog used to the smell and taste of the toothpaste. Place a little bit on your finger and let them check it out. Now you can show your dog the toothbrush, letting him sniff and check it out before you begin brushing. 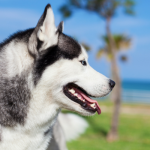 Gently hold up your dog’s gums and place the brush against his teeth. Once your dog is comfortable with having the toothbrush on his teeth you can move onto the proper brushing technique. 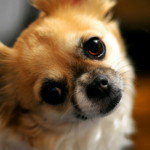 Hold the brush at a 45 degree angle and work in small, circular motions on your dogs teeth. Do small portions of the mouth at a time, making sure he’s staying calm and tolerating the brushing. To get up near the gum line you’re going to need to lift your dog’s lips in certain areas. Do some downward strokes to remove the hard to reach plaque. Even with daily brushing it’s recommended that your dog see a professional once a year for a dental exam. 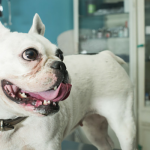 With a bit of preventative oral care you can increase the likelihood of your dog leaving his yearly exam with a decent bill of health and less costs associated with professional dental care. Actually, an intelligent person would believe India has a lot to teach us about healthy natural health practices Dantų Akmenys. The biggest example is Yoga. There are tons of natural ways to fix your body without having to always resort to chemicals.